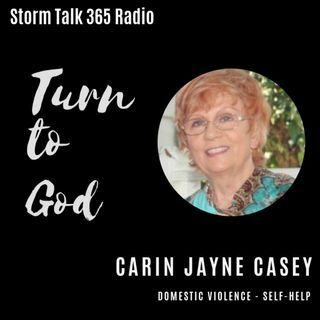 In “Turn to God with Carin,” Carin Jayne Casey shared that October is domestic violence awareness month. This is in a series relating to overcoming domestic violence or other challenges in life. This week we return of a special guest, Debra Keeton who has gone on missions with Casey and Debra is in group ministry with “Totally Delivered and Free” ministry. Segment began with startling statistics; i.e., 90% of women who come out of ... Más informaciones domestic violence, female children tend to enter such relationships.